Another eventful weekend passes, while not completely taken up by Geeky activities there was still a few things Geek happening in the news. It’s a common occurrence this generation. Games from last gen getting a few fine touches and being re-released as new remastered versions. Some are a bit pointless (Deadpool, Darksiders 2), Others are awesome (Last of us, Uncharted Collection). We now get another batch of some of last generations best games remastered for our current shiny consoles. Batman Arkham Asylum and Arkham City are being released in a double pack for PS4 and Xbox One called Batman: Return to Arkham. What’s caused a few stirs is that Origins is missing from the collection. It’s as if WB pretend this game didn’t happen now a days. At the end of last week there was a special event to give us a first look at Gran Turismo Sport and the first details about it. Surprisingly the game will be launching this November. A few of the details to be confirmed are the game modes. 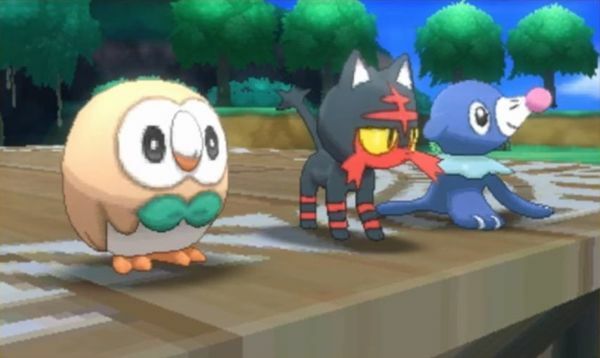 We got our first look at the new Pokemon games coming out this November last week. We’re due to get more details on 2nd June. But to keep us going along we also got confirmation that the new games will be taking place on multiple islands. Pokemon Sun and Pokemon Moon will launch in the US November 18th, 2016 exclusively for the Nintendo 3DS family of systems. Embark on a new adventure as a Pokemon Trainer and catch, battle, and trade all-new Pokemon on the tropical islands of a new Region and become a Pokemon Champion! As we’re approaching the most wonderful time of the year, we’ve begun our hype posts. Check out Will’s Microsoft E3 hopes, and my very speculative PlayStation conference hopes.